Despite the overwhelming growth of residential solar installations, many myths remain about solar power. Here are the top 10 solar power myths — and the facts that refute these myths. Myth: Solar panels do not work well in cold climates. Fact: Most solar panels actually work best in cold, sunny conditions. Conductivity increases in cold temperatures, making electricity flow more efficiently, while higher temperatures can reduce the panels’ efficiency. As solar panels get hotter, they produce less power from the same amount of light. Myth: Solar power will get more efficient, so I should wait to buy or install. Fact: While many companies are working to improve the efficiency of solar panels, the current technology for solar panels is well established — in fact, we’ve been using the same solar technology, more or less, since the 1960s. The potential efficiency gains of future panels are small compared to the panels ready for installation today, and the efficiency gains when measured in total dollars saved on your energy bills is miniscule. Myth: I won’t live in my home long enough to make my investment in solar back. Fact: Depending on your system and location, solar panel arrays can pay for themselves within 6 to 15 years. Combined with the best state and federal tax credits and incentives, you could start seeing a return on your investment within 2 to 4 years. Solar panels also increase the resale value of a home by about $15,000, so even if you won’t be in your home for the next 15 years, you can still see a significant return on investment when you sell. Myth: Solar panels require a tracking system to follow the angle of the sun. Fact: When panels are installed, they are positioned to maximize sun exposure, meaning tracking systems are not required. Some newer solar panels do integrate tracking systems to change the panel’s positioning throughout the day, but the additional expense may not be worth the limited efficiency gains. 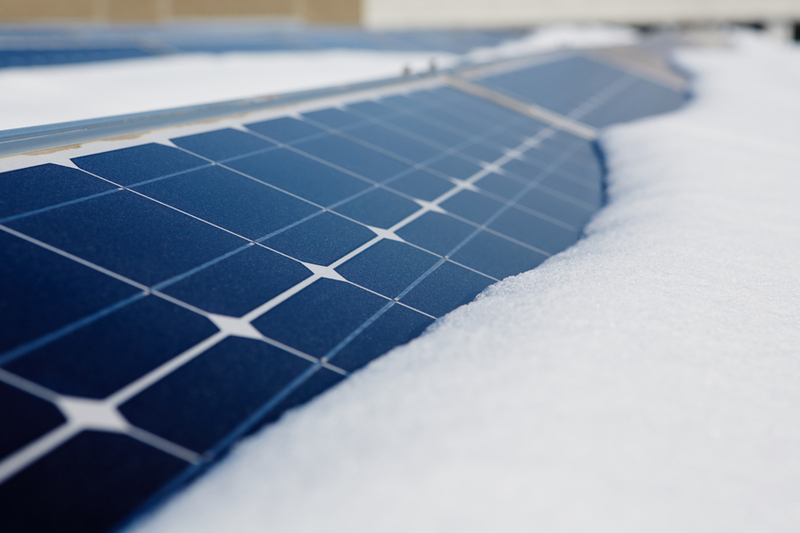 Myth: Solar panels can’t operate well in snowy or cloudy conditions. Fact: Snowy and cloudy weather can reduce the amount of energy produced by your solar panels, but they can still work efficiently in these conditions. In snowy climates, most solar panels are installed at an angle so that the snow will slide off the panel once it accumulates, and rain can help clear debris from you panels, actually helping them to be more efficient. In fact, Germany, a country that gets less than half as much sun as the sunniest city in the U.S., has one of the most successful solar initiatives in the world. Myth: Solar will look unattractive on my roof. Fact: Ultimately, the aesthetic appeal of solar panels on a residential roof is subjective. However, with the growing popularity of solar power, professionals can install solar panels in positions and locations to minimize the visual impact. Depending on your yard area, panels can even be mounted on the ground. Solar shingles can also help with curb appeal by better blending in with your existing roof. Myth: Solar panels will require constant maintenance. Fact: Solar arrays are built to be durable and require minimal maintenance. Many installers recommend an annual inspection to check the panels and overall system performance, and many offer warranties for the life of the system. Plus, if you lease rather than own your system, maintenance will be provided by the leasing company. Keep in mind that panels with tracking systems may require additional maintenance and care. Myth: Solar panels will damage my roof. Fact: Professional installers are skilled at installing solar panels on every imaginable roof pitch, angle, and condition. 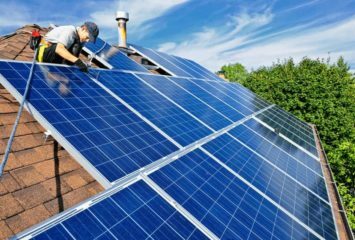 These professionals will not damage a homeowner’s roof, and in some cases solar panels may extend the life of the roof by protecting it from the elements. Solar panels are installed a few inches above the existing roof to increase air flow and weigh about the same as a second layer of shingles. Myth: Only a few states offer financial incentives for installing solar panels. Fact: Almost every state in the U.S. has some type of incentive for solar energy. Before assuming that your state doesn’t offer an incentive, research the solar energy incentives and policies in your state. In addition to any state incentive offered, the federal government is currently offering a 30% tax credit for solar array systems installed before the end of 2019. Myth: Solar panel systems will store excess energy in batteries. Fact: The majority of home solar power systems do not store energy in batteries. 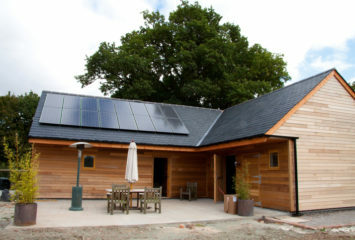 They’re connected to the power grid via net metering, and homeowners are credited with the energy that their solar panels generate and add to the electrical grid. Though it is possible to add a battery to your solar installation, doing so will increase the cost of materials, installation, and maintenance. If you’re interested in learning more about solar power, don’t be fooled by these common misconceptions. Research the costs and benefits of solar power and find out how much a solar array system would cost to install in your home by using our handy solar cost calculator.